Office partitioning can play a leading role in a new office design or office refurbishment scheme, or as an addition to your existing office space. Office partitioning can meet a wide variety of needs, and all of the office partition systems we specify and install are attractive, modern and highly cost effective. Office partitions can be the ideal way to divide up space within your office. They provide a flexible, aesthetically pleasing and low-cost method of creating individual offices, breakout areas or meeting rooms. 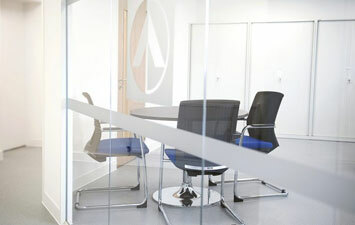 Glass office partitioning is popular as it creates a feeling of openness. It’s not a ‘one-size-fits-all’ solution, however, and there is plenty of scope to meet your needs and set you apart from the company next door! Glass partitions come in single- or double-glazed varieties, with accompanying levels of acoustic performance and fire resistance. There are framed and frameless versions, plus a variety of frame colours and materials. You can add bold graphics and frosted panels – or even install remote-controlled blinds inside double-glazed glass partitions. Of course, glass is not the only option. 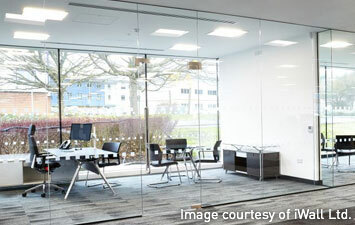 Solid office partitions have their place too, whether full-height or just half-height topped with glass. These are often selected for practical reasons – such as to create a corridor or as a backing for storage systems – as well as aesthetic ones. Office partitioning is easy to install, meaning minimal disruption to your people and operation. Some office partition systems are ‘demountable’, allowing them to be quickly removed or their setup reconfigured to meet changing requirements within your office space. Whether you have a specific office partitioning requirement in mind, or are in the early stages of considering an office design project, a FREE consultation will give you valuable insight into our thinking and approach. Whether you are seeking office partitioning alone or are considering a wider office refurbishment project, we can specify, source and install everything you need. Procol are not allied to any manufacturers, so are able to recommend the best products and solutions for your particular situation. As well as office partitioning, this can include everything from office furniture, storage and filing, to air conditioning, lighting and flooring. 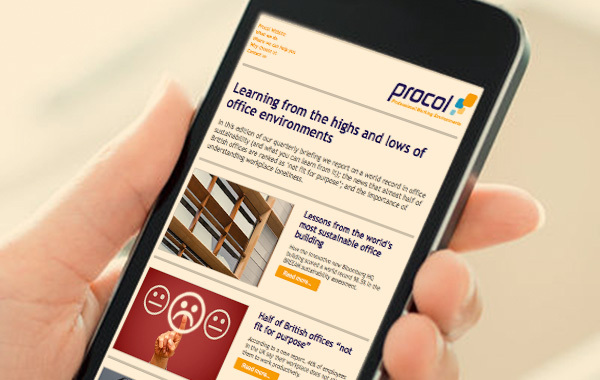 P&D Manufacturing tasked Procol with transforming an office area to make a brighter, more modern, usable space. A key aspect of this work was the use of full-height frameless-glass and solid office partitioning. To learn more about why clients entrust us with their office partitioning projects, read on. Alternatively, to arrange a FREE no-obligation consultation, or to discuss your requirements with us, simply get in touch.